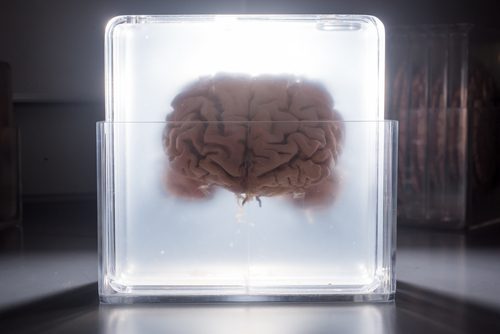 In the Sunday Series, today we bring to you a story from our archives about the collection of human brains at the Yale university.This collection of brains came to Yale in jars, only because their former custodian was a celebrated Yale alumnus and is one of the reasons why neurosurgery is one of the most important and effective branches of neurosurgery. The Ivy League universities house some of the best brains on the planet.Many of our world leaders, administrators, politicians, scientists, inventors, and doctors come from the Ivies. It would suffice to say that they are a place where the human brain is working overtime to give humanity a lot of its best ideas for its future. However, Yale University has another collection of brains, which, may not be as active any more, or which may not be as alert as the others teeming around New Haven! This collection of brains came to Yale in jars, only because their former custodian was a celebrated Yale alumnus and is one of the reasons why neurosurgery is one of the most important and effective branches of neurosurgery. We are talking of course, about Harvey Cushing, the celebrated doctor who used X-rays to investigate brain tumours, who drastically reduced mortalities in neurosurgery by using localized anaesthesia, monitoring vital parameters and whose name is now immortalized by the Syndrome named after him. The collection is one of the most remarkable collections in the world, with nearly 500 samples on display, they are a sort of tribute to the early victims of a neurological disease which had no treatment in those days. Cushing was responsible for greatly refining neurosurgery, which until then remained a haphazard field where patients frequently died on the operation table. Cushing was dogged in his pursuit of studying the brain and its maladies. He made use of all the upcoming technologies such as X-rays, blood pressure cuffs and also made detailed notes of patient symptoms and characteristics whenever he began his day. Rather, he was prescient in noting that blood pressure could be influencing intracranial pressure, and he meticulously documented how different types of brain tumours caused differing symptoms, a system that was useful in classifying brain tumours later. Once, Cushing’s assistant Louise Eisenhardt who was sent to Tufts University reported that Johns Hopkins University had lost one of his brain specimens, Cushing was enraged. Eisenhardt began formally classifying and labelling each of his specimens, paving the way for a collection of brain specimens which would endure for more than a century. Cushing would meticulously document any misdiagnoses and errors he had made by studying the brains, and his notes would make the field of neurosurgery immensely richer. After both Cushing and Eisenhardt died, Yale did not have a specific place in the Medical History Library for his collection of brains. While his books and notes were given a proud place in the collection, the brains were kept in the basement of a medical dormitory. Along with these brains, were a collection of 10000 photographs of patients who had been photographed in full with their scars, their injuries and even their faces. The Cushing collection was finally instituted in a place funded by one of Cushing’s own forgotten funds which he had raised for studying pediatric tumours. One of the medical students threw away the old formalein, restudied them and labelled them in newer jars. The brains and photographs were housed in a special room, with lights dim enough to see the brains, the photographs all lined up in a clear, systematic manner. The wood for the shelves is cut from a single tree and the architecture is designed by one of the University’s own celebrated architecture professors. However, Cushing’s collection had more than just historical value. In 2003, a medical student realized that Cushing had described a syndrome of gigantism, now named after him, and here was probably one of the world’s best preserved and named collections where patients with Cushing syndrome were identified. Samples of the brains were taken and sent to the National Institutes of Health (NIH) for identifying the gene associated with Cushing’s syndrome. The collection is hence, now being put to greater use than simply being a remarkable historical collection of medical specimen.